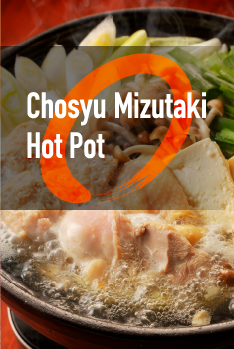 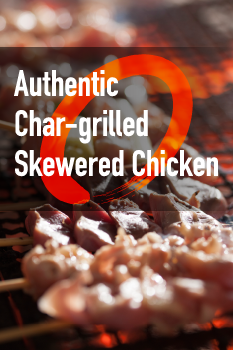 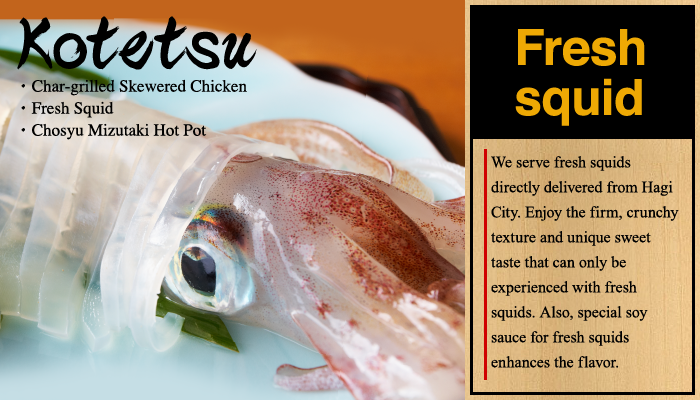 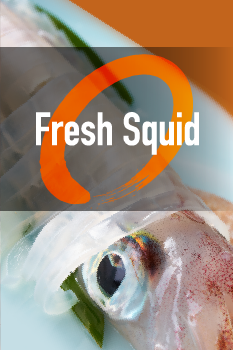 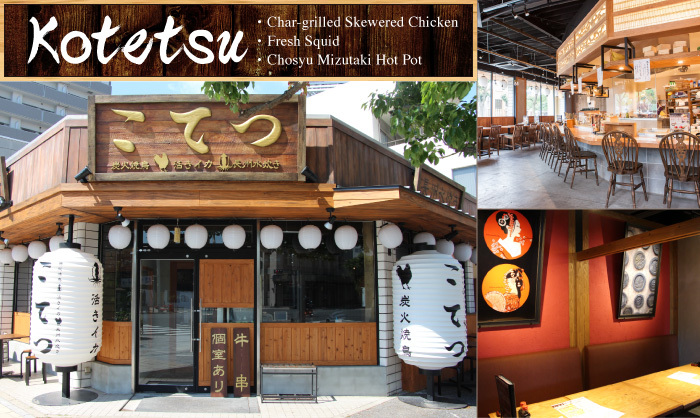 Authentic char-grilled skewered chicken prepared using the best chicken selected from four kinds of chicken for each part of meat; fresh squid swimming in a water tank, directly delivered from Hagi City; and Cyoshu mizutaki hot pot using Chosyu-brand chicken. 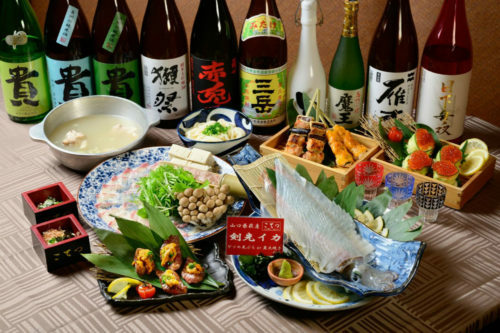 Relish the specialties with local sake produced in Yamaguchi Prefecture on the counter seats filled with a lively atmosphere or in an isolated, relaxing private room. 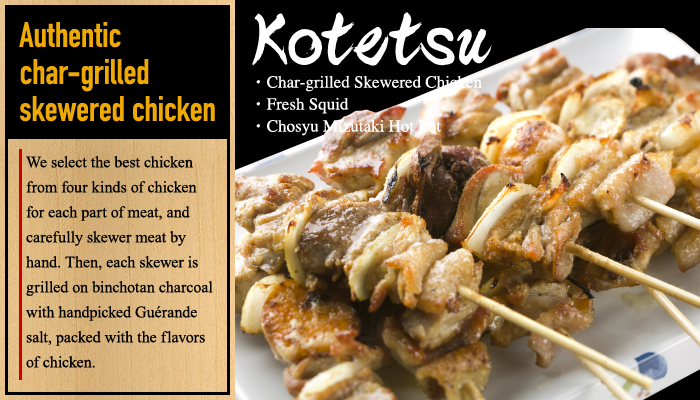 Copyright © Kotetsu All Rights Reserved.